Wanna know a secret…? That’s my layout in Jot magazine! 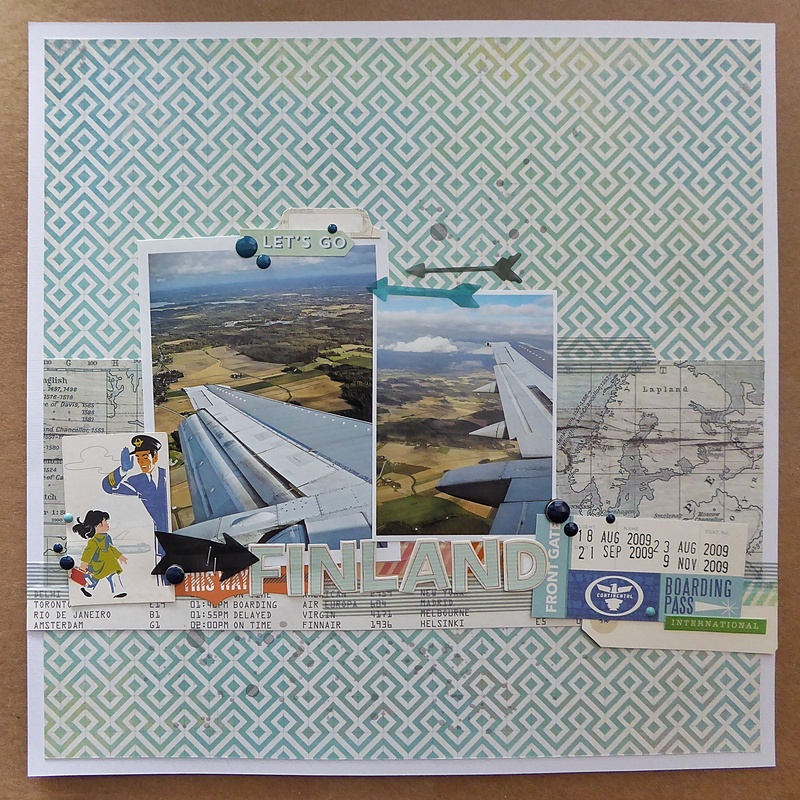 And it’s a 12×12 layout – knock me over!! I’m a huge fan of Jot. They have an amazing amount of inspiring content from all over the world, and they cover a variety of current topics. Instagram, mobile photography and editing, Project Life, traditional scrapbooking, mini books, gifts and packaging…. They cover all of the things that the “modern day memory keeper” is interested in. They had a submission call for their 7th issue, but they needed layouts that were 12×12. Time to see if I could put together something. Let me tell you, 12×12 feels like a LOT of space after working on 8×8 layouts. So every once in a while one of my Project Life / pocket page style albums needs a title page, feature page, or I have something extra special (or large), to document. 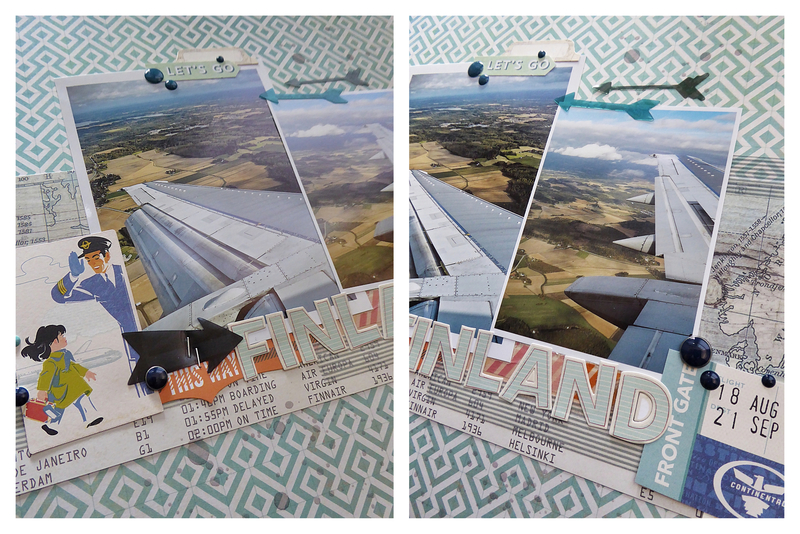 In this case, my Finland travel album needed a title page. I have so many (as in don’t-ask-how-many), photos for that album (those albums). Pocket pages are the only way I stand a chance of getting them into albums while still being able to include journalling, embellishments, and ephemera. © The Light Up North, 2014-2015. Unauthorized use and/or duplication of this material without express and written permission from this blog’s author and/or owner is strictly prohibited. Excerpts and links may be used, provided that full and clear credit is given to Emily Duke and The Light Up North with appropriate and specific direction to the original content.